A couple of years ago, B-man had a major meltdown when presents began showing up in our church lobby. The gifts were for our annual Sharing Christmas event where we provide gifts to families in need. B just could not understand why he could not have one of the gifts. He is a generous and loving kid but he wanted one of those presents. The event prompted me to write a post for teachers about helping their students with Autism Spectrum Disorder make it through the weeks between Thanksgiving and Christmas. I usually repost it each year but I'm a slacker this year and flat out forgot. Here are some things I'm trying to do with B to help him through this last week before Christmas. 1. Advent Calendar - I'll write more about this tomorrow but we do an Advent Calendar each year. The boys get a little treat each day. It helps B see how many days are left before Christmas. It's a great visual reminder. 2. Schedule - School's out and the schedule goes out the door. I do try to give B time to be less structured during the break. But I remind him often of what's coming next. "On Monday, Daddy and I will be gone all day shopping. You'll be with the big boys. On Tuesday we are going to see Dr. Roberts in the morning then to basketball later that day. On Wednesday...." You get the picture. We go over this a lot to soothe his mind. 3. Gifts - I don't put any gifts under the tree until Christmas Eve. This started out as a necessity. We didn't have the money to shop until I got paid the day Christmas Break started. Now that's not the reason but Ryan and I have kept the tradition going. Once we're out of school we do a huge day long shopping trip. I wrap stuff closer to the day. If there's nothing under the tree, B can't obsess about what it might be and when he can open it. 4. 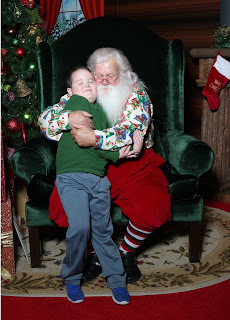 Santa - We visit Santa early so I can remind B of what he asked for. You can't add stuff after you've seen Santa! This one has been a struggle this year. I'm kinda nervous but holding my ground. I'll update y'all on this one next week. 5. Jesus - We talk often about the reason we celebrate Christmas. We are celebrating the birth of Jesus Christ our Savior. We reiterate that Jesus is the true reason for Christmas, not presents. 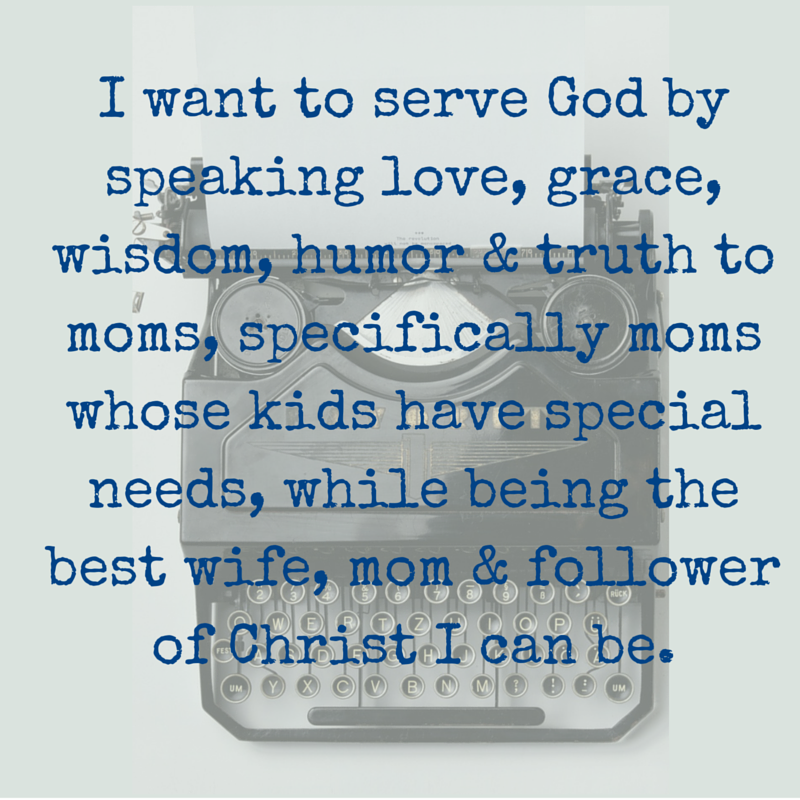 When B's list starts to grow again and all he wants to talk about is what he's getting, we refocus him on Jesus. It makes my heart happy to hear him tell me about Jesus' birth. So, what are the ways you help your kiddo during Christmas?